Everyone thinks all immigrants came through Ellis Island in New York. No, that is not the case. Ports of entry included Boston, Philadelphia, Baltimore, Miami, New Orleans, San Francisco, just to name a few. 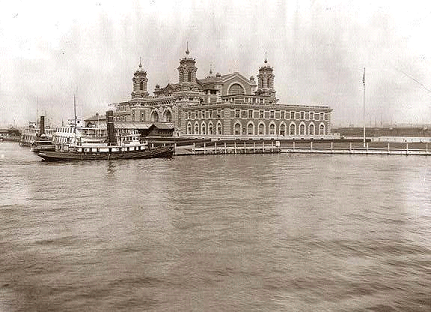 However, the most famous entry port does remain, Ellis Island, in the Upper New York Bay near the Statue of Liberty. The name came from Samuel Ellis who owned that island back in the 1770s. This port has served as the gateway for millions of immigrants to the United States as the nation’s busiest immigrant inspection station beginning in 1892. 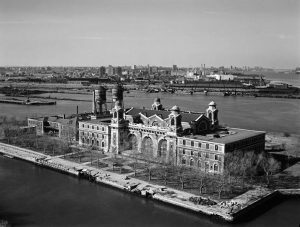 Yet, the new station would be short-lived, because, on June 15, 1897, a fire on Ellis Island burned the immigration station completely to the ground including records. So a new structure was built and made to be fire-proof and opened December 17, 1900. 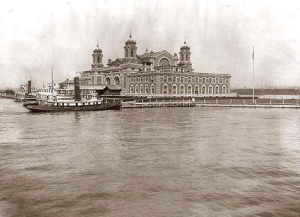 The date of April 17, 1907 had just under 12,000 names were recorded as passing through Ellis Island. For all of 1907, over one million immigrants were processed through Ellis Island. Amazing figures. You may have your ancestors arrive at Ellis that year of 1907. 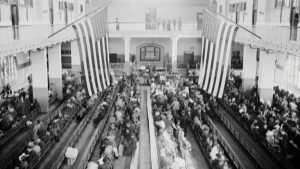 An interesting fact was that first and second-class passengers who arrived in New York Harbor were not required to undergo the inspection process at Ellis Island. Instead, these passengers underwent a casual inspection aboard ship. The idea that 3rd class passengers might be more likely to have medical problems and be a problem in general society, so a more complete exam was needed for 3rd class and those who failed were sent back. This well-known immigration station where an estimated 12 million immigrates passed through, closed in November 1954, with the structures left abandoned. By October 15, 1965, Ellis Island was proclaimed a part of Statue of Liberty National Monument and made a landmark. So since April 17, 2001, this entry port and family history have been recognized as ‘National Ellis Island Family History Day‘. Do a passenger search of those who came to Ellis Island of any ancestors on the family tree and see what can be located. 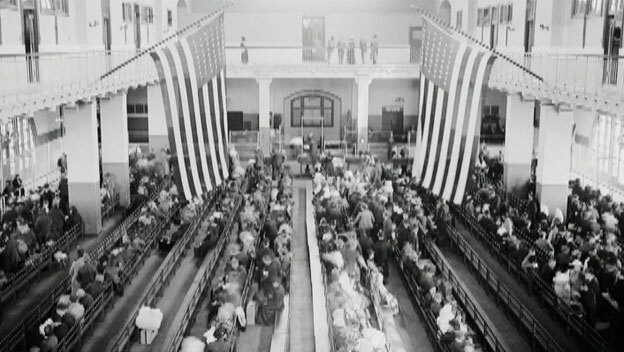 Photos: Scenes of Ellis Island and inside the station waiting to be processed.